My fellow blogger Becky Wilson-Lusk recently wrote about 8 Indoor Activities for the Kids in Hendricks County, so as the interim superintendent of Hendricks County Parks & Recreation, I thought I would complement Becky&apos;s post with one about 8 outdoor activities that families can enjoy in Hendricks County, Indiana, parks. After all, just because it&apos;s winter doesn&apos;t mean that we can&apos;t all go outside for some fresh air and exercise. You might be surprised by what we have to offer during the winter months! Our naturalists at Hendricks County Parks & Recreation aren&apos;t afraid of the winter, nor are they afraid of the dark. In fact, you can join them at McCloud Nature Park near North Salem this Saturday, Jan. 19 at 5:15 p.m. for a Wolf Moon Night Hike. You might ask, what&apos;s a wolf moon? 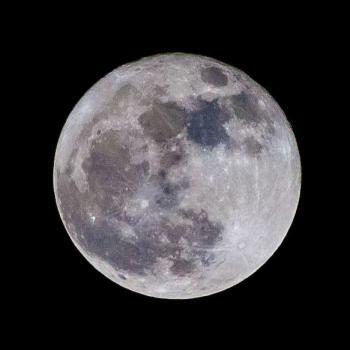 Quite simply, it&apos;s the first full moon in January! And given its location in Hendricks County, far away from light pollution, McCloud Nature Park is a fantastic spot to view this year&apos;s wolf moon. As a bonus, on Sunday night into Monday morning, you&apos;ll be able to see a "super wolf blood moon" in the night sky! What is that, you ask? Well, you&apos;ll just have to ask our naturalists during the Wolf Moon Hike, although I will reveal that it&apos;s a rare phenomenon. The hike only costs $3/person, and advance registration is required by midnight on Thursday night, so make sure you click here to register! With the recent snowfall -- and more snow sure to descend upon us as winter progresses -- sledding is always a fun, free family activity to enjoy. Our parks in Hendricks County provide a few great places to enjoy the snow on a sled. Danville Parks & Recreation&apos;s Ellis Park is my kids&apos; favorite for sledding, with their steep hill located back by the Gill Family Aquatic Center and the basketball courts. Washington Township Parks & Recreation&apos;s Washington Township Park in Avon is another popular place in Hendricks County to enjoy the snow, as is Guilford Township&apos;s Hummel Park in Plainfield. For more about sledding in Hendricks County, click here. Ready to upgrade your map-reading abilities? If you’ve ever been confounded by compasses, if you don’t know what “orient your map” means or if you would really like it if that “topo map” looked a bit less like an abstract painting, the Basic Map Reading program on Saturday, Jan. 26 at 1 p.m. at McCloud Nature Park is for you! 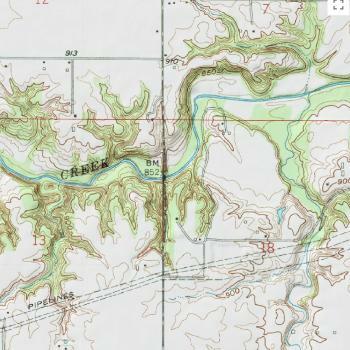 Learn how to read a topographic map by constructing a 3D model and then compare the map features with land features while using a compass. Part of this program is indoors, and part of it is outdoors as you learn what a topographic map translates to in real life. This program costs $10 a person, and advance registration is required by midnight on Jan. 24 by clicking here. Up in the northeastern section of Hendricks County, the B&O Trail Association operates the B&O Trail, which runs through and west of Brownsburg. This is a paved trail that is perfect for biking, running and walking. Hendricks County Parks & Recreation operates a 4.5-mile paved section of the Vandalia Trail, running from Amo through Coatesville to the Hendricks-Putnam County Line, where it connects with People Pathways and continues all the way to Greencastle. We do not clear our section of the trail in the event of snow, which makes it a fun environment for cross-country skiing, snowshoeing, snow biking or hiking. Plainfield Parks & Recreation operates a paved section of the Vandalia Trail that runs through Plainfield. 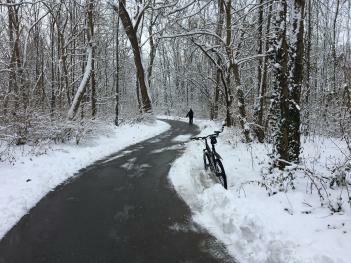 They do clear their part of the trail after a snowfall, so bicyclists, joggers and walkers can enjoy it. Plainfield Parks & Recreation operates a great trail system throughout their town, so there is plenty to explore outdoors. We have 6.5 miles of trails at McCloud Nature Park near North Salem, 4.5 miles of trails at Sodalis Nature Park in Plainfield, and even more trails at Hummel Park in Plainfield, Williams Park and Arbuckle Acres Park in Brownsburg, Washington Township Park and Avon Town Hall Park in Avon and Ellis Park, Gary Eakin Community Park and Blanton Woods in Danville. Bicyclists, don&apos;t let the winter months leave the activity that you love out in the cold! Join Vandalia Trail champion and National Road Heritage Trail, Inc. President Greg Midgley for monthly brisk rides along Plainfield Parks & Recreation&apos;s section of the Vandalia Trail. The February Brisk Ride will be held Feb. 9 while the March Brisk Ride will be held on March 9. Whether you&apos;re a regular cold weather rider or would like to try it for the first time, come on out and enjoy a relaxed opportunity to try out your cold weather gear and exchange strategies with others. The gathering point is in Plainfield right behind Biggby&apos;s Coffee and the Metro Diner and in front of Meijer, convenient for a hot drink before the meet-up, for a warm breakfast after the ride and for last-minute general supplies. At 9 a.m., Greg and the group will launch off to the nearby Vandalia Trail, ride at a leisurely pace to its west end, then back to and down the White Lick Creek Trail a bit, and finally return to the Vandalia Trail for the last stretch, back to breakfast. This route is about nine miles, but the group and individuals can choose more or less distance, depending on the conditions. For more information, contact Greg at greg@nrht.org. Looking for a great opportunity to train, race and improve in 2019? Plainfield Parks & Recreation offers the perfect opportunity for both the seasoned runner/walker and the first-time, couch-to-5Ker! They have partnered with the Plainfield High School Track Team and run/walk experts to create a three-race series that progresses from February through April. Additionally, they offer a training program that meets twice weekly. All events take place at the Richard A. Carlucci Recreation and Aquatic Center in Plainfield. 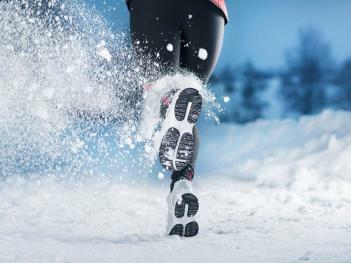 The Frosty Feet 5K will take place on Feb. 9, the Spring Fling 5K and 10K is on March 9, and the Trot the Trail 5K and 10K is on April 13. For additional information, including how to register, click here. Puzzle Hike: Whoooo Stole Barred Owl&apos;s Hot Cocoa? This is an ongoing program that runs between 11 a.m. and 3 p.m. and takes approximately 30-45 minutes to complete. This program costs $3 a person, and advance registration is required by midnight on Feb. 7 by clicking here. Mark the first two Saturdays of March on your calendar -- March 2 and 9 -- for the annual McCloud Maple Syrup Days at McCloud Nature Park! We&apos;ll delve more into this festival in a later blog post, but this is a fun outdoor experience involving how maple syrup was made in the past and how it&apos;s made today. Then warm up inside the McCloud Nature Center with the Parks Foundation of Hendricks County&apos;s Pancake Breakfast Fundraiser, featuring pancakes topped with 100% all-natural McCloud Maple Syrup, made with sap from the sugar maple trees at McCloud Nature Park. For more information on these events, stay tuned to this blog and also click here. Enjoy the Great Outdoors in Hendricks County! These aren&apos;t the only ways to enjoy being outside during the winter in Hendricks County! For more outdoor (and indoor) events over the next few months and beyond, be sure to check out our Events Calendar.